This may shock some of you but considering the current ‘trend of leaks’, it should come as no surprise to you. But if you are a OnePlus fan, you can leave this article here only, for there are full spoilers-if you proceed at your own risk. 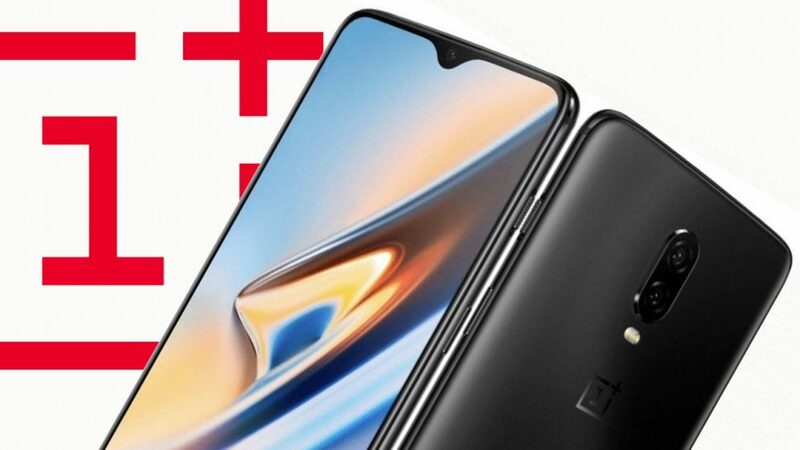 But coming to the current news, a latest big leak has revealed the full specs list of the highly anticipated and just-about-to-be-launched device, OnePlus 6T! This giant leak came from a 15-years old Ishan Agarwal, who keeps doing this leaking-thing whenever a big device is about to be released or unveiled by a big company (he’s done this earlier too, for Pixel 3XL, and those leaks were exactly matching the finally released version’s specs). 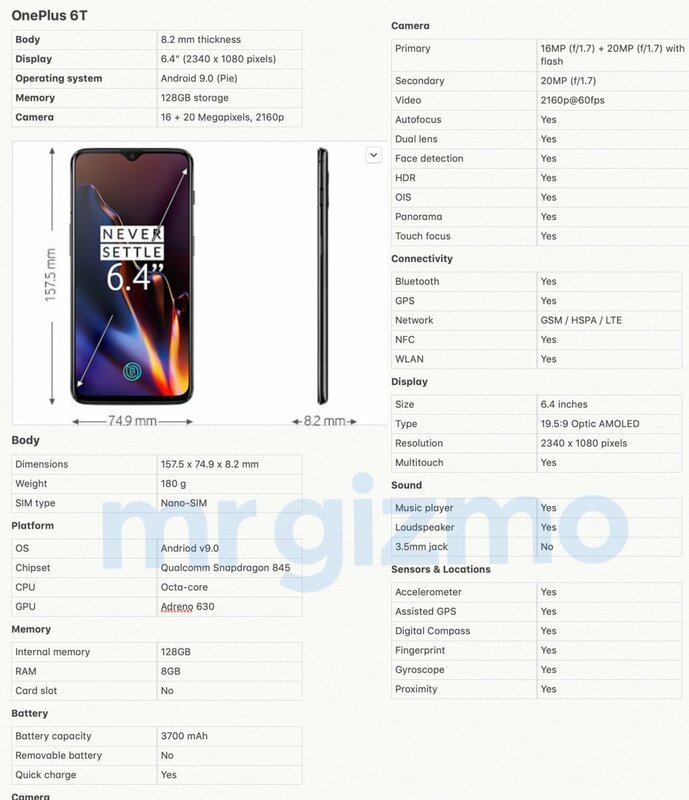 So, this guy has leaked the entire specifications’ list of OnePlus 6T via an image on his Twitter account. The highlighting and usually known features include a 6.4inch optic AMOLED display, having a resolution of 2340x1080p. The aspect ratio of the screen is 19.5:9. The chipset is no surprise to anyone, being the flagship processor from Qualcomm at the moment, Snapdragon 845. It will be coupled with an 8GB of RAM and 128GB of internal capacity. Well, when it comes to the camera section then the 6T’s got a dual-rear setup (just like OnePlus 5, 5T and this year’s early release, OnePlus 6). On the 6T, there are 16MP+20MP lenses, plus the fingerprint sensor on the back, while on the front, there is the 20MP camera for portraits and great selfies. The battery capacity is about 3,700mAh and the phone also supports the Quick charge. The Android version will obviously be the latest by Google, Android Pie 9.0. Below is the post that this ‘leaker’, a Twitter guy dropped, spoiling the official specs of the OnePlus 6T. And here is the fully-leaked specs list image that shows everything that the upcoming beast from OnePlus has to offer. The OnePlus 6T will be the successor to the already successful device, OnePlus 6, from the company (The predecessor was released just 5 months ago, in May). OnePlus 6 was also sold in record numbers in the premium category in Indian markets, dethroning giants like Apple and Samsung. Seems like the wave is going to sway all the customers again, and beat the rivals, this winter season too.